Trainer Phil Kirby is responsible for Don Poli in today's Grand National after owner Darren Yates paid �170,000 for the horse. IT will be ironic if Don Poli wins the Randox Health Grand National for in-form North Yorkshire trainer Phil Kirby. The reason? The 10-year-old, a former Cheltenham Festival winner, has never set foot in the county – or Kirby’s yard. 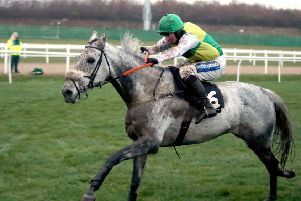 Phil Kirby's Grand National contender Don Poli is pictured winning the RSA Chase at Cheltenham under Bryan Cooper. 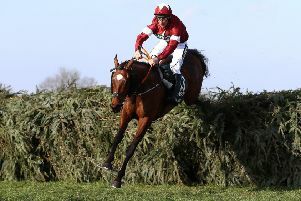 Previously trained in Ireland, the horse was purchased at Aintree on Thursday night by owners Darren and Annaley Yates when Blaklion, another of their high-profile acquisitions, was ruled out of the race through injury. And rather than drive Don Poli to Catterick for 36 hours before returning to Merseyside, Kirby chose to stay at Aintree to oversee the horse’s final preparations once the £170,000 purchase was completed. Like the late Toby Balding who acquired Little Polveir six weeks before the horse’s win in 1989, Kirby told The Yorkshire Post that his number one task is not to do anything wrong. “I rode him myself at 8.30am and will do the same on National day,” he said. “He had a quiet canter. I’m just trying not to muck anything up. We thought about bringing him back to Yorkshire, but we decided to keep things as they were not be too clever. I rode him myself at 8.30am and will do the same on National day. Kirby, whose Top Ville Ben was third in yesterday’s Grade One Novices’ Chase at Aintree, saddles Nautical Nitwit in today’s Grade One Stayers’ Hurdle which also features Sam Spinner for Leyburn trainer Jedd O’Keeffe. Meanwhile, Malton trainer Ruth Jefferson’s Waiting Patiently was third in yesterday’s feature Melling Chase to Min whose jockey, Ruby Walsh, partners Rathvinden in the National.